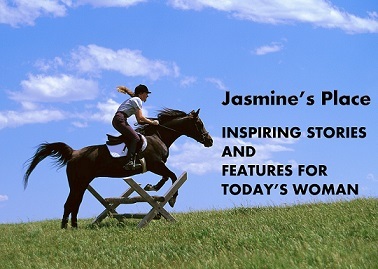 It’s such a pleasure to welcome you to Jasmine’s Place, Issue No. 20! It’s the Christmas edition! Lee Brooks starts off with an encouraging word for December and the year beyond. Julie Arduini shares some practical applicable insights from the life of Mary. With a collection that includes a “Hosanna” cardigan, we just couldn’t help but share Elegantees’ offering for the winter months – as they say, “the dressiest layering pieces in the most layering fabrics”. When you visit their site, also check out their Freedom campaign – it’s a very worthy campaign. Christmas can be the loneliest times of the year for some, but Emem Washington, who has experienced multiple layers of loss, is right here to offer some encouragement and prayer support. Savour the sights of the land of the brave and free with Marijo Phelps, a budding landscape photographer. Get to know Glory Kings, an upcoming and award winning gospel star. What do you think of when you hear the term hospitality? Haley Pridgen has some insights for this month and beyond, and Debra Bee finishes off with an allegorical feature, “The Legacy”. Optimized for all devices, you can take the issue anywhere. Take a look at the new Christmas issue – Issue No 20!